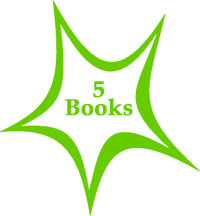 This isn’t a strictly “5 books” post but a “5 authors” post, but that’s all semantics. I thought it might be nice to look at writers from Australia and New Zealand who have been around for a long time. Who are the classic authors from these countries that we should know about? Most readers I’ve noticed – and I include myself in this – mostly read recent books. That’s not surprising, I suppose. We all like to be in touch with what’s going on around us, and be able to join in the conversation about current books. But, what about older books – those that have stood the test of time, and that have laid the foundation for contemporary literature? They are worth including in our reading diet. So, when Kim asked me to write a post on classics (or, older books, as how do we define “a classic”), I jumped at the chance. We agreed that I’d do it by naming some authors rather than by simply listing a few books. Even so, it is a very select list. There are many, many great “older” Aussie books. This list just gets your toes in the water! So, here goes, in order of the author’s birth! Any list like this has to start with Franklin — she endowed our most important literary award, the Miles Franklin. Moreover, one of her middle names, Stella, has been adopted for our new women-only literary prize. 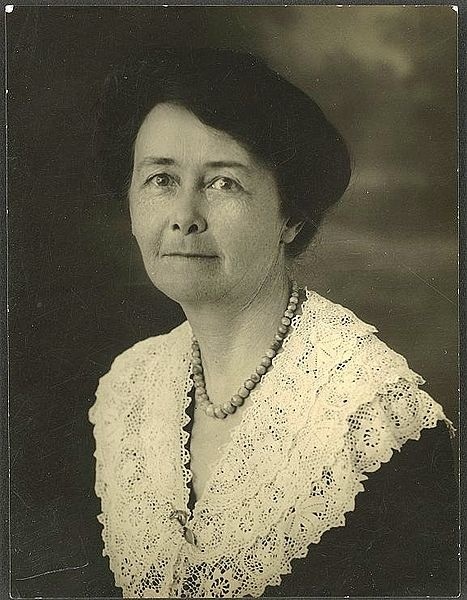 Miles Franklin wrote many books of fiction and non-fiction, but by far her most famous is My Brilliant Career (1901). It’s heavily autobiographical and tells the story of a young woman from a grazing family who is desperate to become a writer. It is still relevant as an account of a feisty, independent young woman who is prepared to buck her family’s expectations to follow her dream. Although “The Man Who Loved Children” is probably too difficult (difficult to stomach, difficult to allow into your heart) to gain a mass following, it’s certainly less difficult than other novels common to college syllabuses, and it’s the kind of book that, if it is for you, is really for you. I’m convinced that there are tens of thousands of people in this country who would bless the day the book was published, if only they could be exposed to it. I rest my case – read her if you dare! 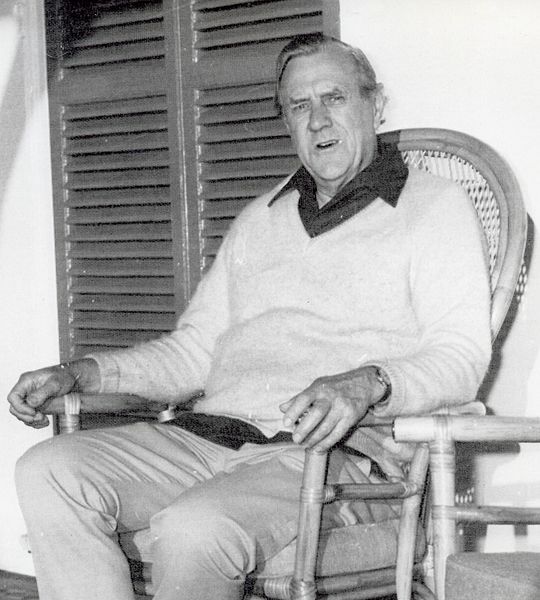 This list of course has to include Patrick White, Australia’s only Nobel Laureate for Literature. He was a rather irascible soul, and absolutely refused for his first novel, Happy Valley, to be published again in his lifetime. Fortunately, Text Publishing released it as part of its Australian Classics series, letting us all see where this writer started. It’s a good read, and is a readable introduction to some of White’s main preoccupations – lives frustrated by the inability (or refusal) to rise above the restrictions of their circumstances. My absolute favourite White, though, is Voss, his re-imagination of the tragic Australian explorer (we have many of those! ), Leichhardt. 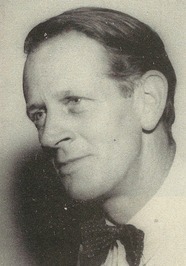 In discussions about that problematical question, “the great Australian novel”, one of the books regularly put forward is George Johnston’s My Brother Jack, the first in his trilogy of semi-autobiographical novels. In the novel, the narrator, a successful journalist, contrasts his life with his brother, Jack, a “typical” Aussie bloke, uneducated, hardworking, a good mate, and more interested in things physical than intellectual. Johnston was married to author Charmian Clift and they remain one of Australia’s best-known literary couples. 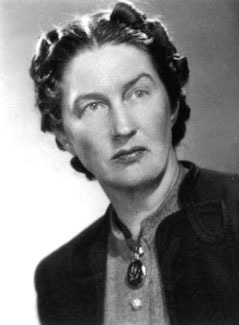 New Zealand born Ruth Park made her literary career in Australia, after marrying Australian writer D’Arcy Niland. She won the 1977 Miles Franklin Award with her moving and very readable saga, Swords and Crowns and Rings, but she is best known for her Harp in the South trilogy about the Darcy family. The first two published novels (Harp in the South and Poor Man’s Orange) chronicle the family’s struggles to survive in the slums of Sydney, while Missus, which was published much later, tells the story of the parents before they came to Sydney. I love Park for the warmth of her writing about real characters, who struggle to cope with hard times in hard places. She’s still relevant for this very reason – and is, besides, a darned good read. Thanks, Whispering Gums, for composing this wonderful list. I’m especially pleased to see George Johnston on it because I’ve read all his work and My Brother Jack is my favourite book of all time! Also delighted to see Ruth Park here. Her trilogy is highly recommended. 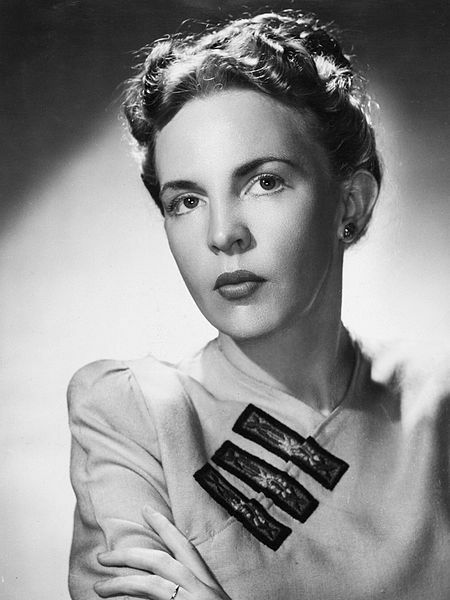 I would also add her husband, D’Arcy Niland, to the list, as his novel The Shiralee, which I reviewed a few years back, is an absolute classic. I loved it so much I sourced all his other books online (they were all out of print) and I have a tidy little pile here ready to explore when the mood strikes! Has anyone read any of these authors? Or can you suggest other classic writers from Australia and New Zealand worth looking out for? NB: All pictures are taken from Wikipedia/GoodReads and reproduced under the relevent Creative Commons licence. Well, with this list and your review of ‘My Brilliant Career’, Kim, my wishlist grows yet again! I read ‘My Brother Jack’ a week or so ago and thought it was very good indeed (I’ve ordered a copy of ‘Clean Straw for Nothing/A Cartload of Clay’ to find out what happens next to David and Jack). Johnston really seems to capture the spirit of a time and a country. Great writing, loads of memorable scenes (the gum tree, buying the typewriter etc)… occasionally I felt the way he wrote about David (ie: himself) bordered on self-flagellation, but I think that is often the case with fiction that is largely autobiographical (Melvyn Bragg’s ‘Remember Me’ would be a good example). Certainly one of my favourite books of the year so far though. Your ANZLit month has prompted me to start looking at ‘older’ writers and I’ve recently picked up copies of novels by Xavier Herbert, Kenneth Mackenzie, Eleanor Dark and Kylie Tennant. Oh, and I also read Katherine Mansfield’s ‘The Garden Party’ this month – now there is a true classic NZ writer. I’m so glad I finally got around to reading her – ‘At The Bay’ and ‘Marriage a la Mode’ are two of the best short stories I’ve ever read. Just wonderful writing! So delighted you have read My Brother Jack. Ive read it four times it gets better every time I read it. And so pleased you mentioned the gum tree: I cant tell you what that whole incident means to me. I have always shunned the idea of living in the suburbs, doing the normal things (getting married, having kids etc), so I guess why I so identified with Davey planting that wacking great tree in his front garden!! So hliarious and rebellious! I dont want to put you off reading the rest of the trilogy, but they arent anywhere as good as the first book. But it is interesting to trace Daveys development. Johnston had a very interesting life he decamped to Greece where he lived with Charmaine Clift, so she is another author to add to your list if you havent read her already. I always forget about Katherine Mansfield… I did read one of her collections put out in the Penguin Great Loves series a few years back and which is reviewed online here somewhere. I am very embarrassed to admit that I have only read Miles Franklin on this list and I only read her this month. I do have My Brother Jack, Happy Valley and The Harp in the South on my shelves but haven’t got to them yet. I reckon Sharkell, that you should go with Harp in the south next, then. I’d be surprised if you didn’t like it. I second that. I read Harp in the South at school and Ive never forgotten it. I really liked My Brother Jack when I read it, but I wasn’t familiar with any of the other authors, with the exception of Patrick White. I have to admit, I am not loving The Tree of Man, which is my current read. Well, I like it because it’s beautifully written, but I don’t like it because so little seems to happen and much of what happens is internalised by the characters within. We’ve got Vivisector on our shelves, any thoughts on that one? The Tree of Man is a difficult read. It took me two goes (in my early 20s) but I have very fond memories of it, perhaps because it gives a real insight as to what it was like to be an early settler (what we call pioneers) in a country that is wild and difficult. We were taught a lot about the pioneers at school but when youre a kid I dont think you truly appreciate the harshness of their lives, but reading Whites account made it come alive for me. The tree of man is pretty “dense” but is probably fairly typical. I’m not sure a lot happens in a lot of his books (if that makes sense). I still have a few to go, but one I’ve read a couple of times is The solid mandala – though, not a lot happens in it either I guess! Sounds like I should read The vivisector too! Henry Handel Richardson “The Fortunes of Richard Mahoney”. Funnily enough, just having a conversation about that very book on Instagram. I sourced a hardback online a few years ago but havent read it … yet. I originally read a Swedish translation (very old) in 1995, then in 2012 I found a used copy in English on AmazonMarketplace. Don’t think her works have been reprinted much? No, but I think Text Classics have bought out a new edition. The only name here I have heard of is Patrick White – thanks for introducing me to the other names to enrich my wish list. Not that it really needs enriching but you can never have too many wishes can you? Hope you get to explore some of these writers’ back catalogues… there’s certainly plenty out there to investigate and enjoy.